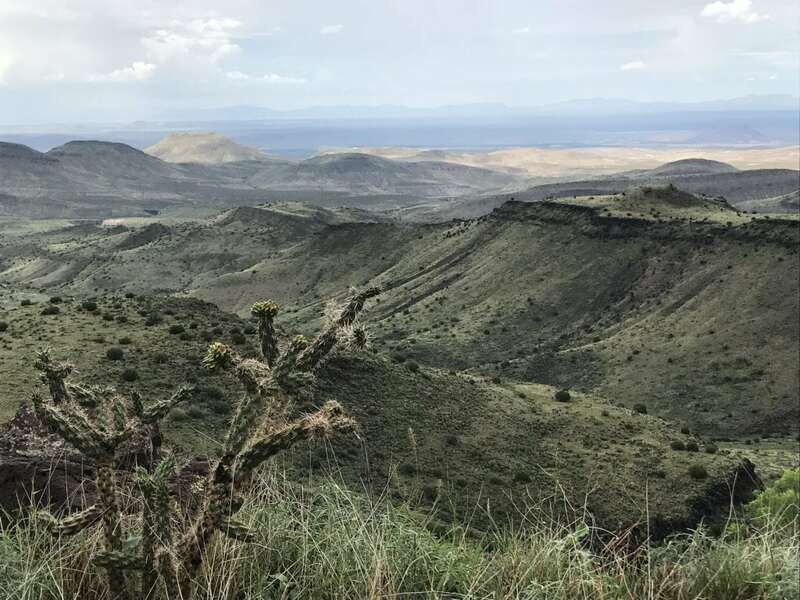 Ascend the Rustler Trail through the rugged and lush beauty of the Sierra de Las Uvas, stopping atop the ridgeline connecting the Panoramic Peaks. From there you will enjoy a 360 degree view of all of the mountain ranges within the Organ Mountains-Desert Peaks National Monument and into Texas, central NM, and Mexico. Wildlife abounds so don’t be surprised if you see mule deer, javelina, coyotes or even an elusive bobcat. Travelling to our departure point we will cross the historic Butterfield Overland Stagecoach Trail and pass alongside landscapes alive with thousands of years of cultural history. This trip offers a rare view into the stunning beauty the region holds.